The Angara heavy-class carrier rocket is being prepared for the second test launch, a representative with the company developing the rocket at the Khrunichev center told TASS. Angara is a family of light and heavy Russian rockets which uses environment-friendly fuel. Only two launches were held so far from Plesetsk. 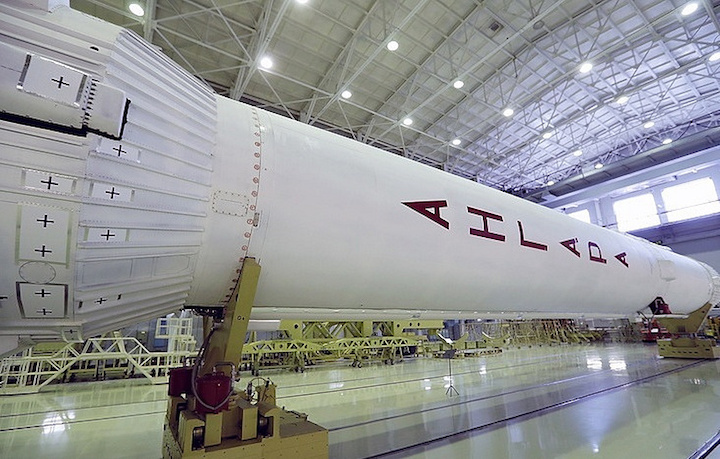 Light Angara 1.2PP blasted off in July 2014 and the heavy Angara-A5 in December 2014. Vostochny cosmodrome in Amur region will be the main launching site for Angara. A heavy version of the Angara rocket is capable of brining up to 38 tonnes of cargos to the low orbit. It is planned to use 25 Angara heavy rockets will be used to launch 650 satellites under the Sfera program.